ENVIRON bored six holes into the subsurface of the future aquatic center, above, and found no high radiation readings. 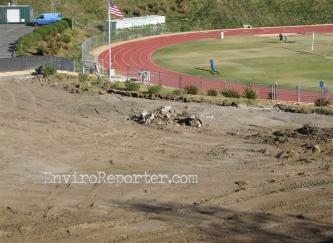 ENVIRON International tests surface and subsurface of Brentwood School’s athletic fields in December. No evidence of tritium or carbon-14 contamination found.